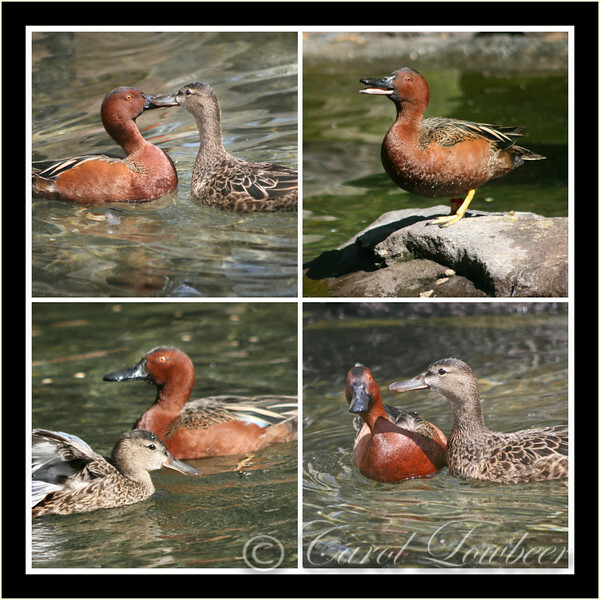 Cinnamon Teal "The Reluctant Suitor"
The rust colored red-eyed Cinnamon Teal Drake can be quite the reluctant suitor! He looks a little skittish when his partner makes her moves. Too much, too soon? I have seen him on other occasions, though, chase her around the duck pond with great vigor. He breeds in the Western United States but migrates as far as South America.